Lenovo has officially brought its ThinkPad lineup fitted with Intel's latest 7th Generation Kaby Lake processor to the Philippines. The new Kaby Lake-powered lineup includes the Lenovo ThinkPad E470, T470, and X270, as well as the ThinkStation P410. All these products are expected to offer stunning design, durability, robustness, and powerful performance. With the latest 7th Generation Kaby Lake processor, these devices will have faster processing, higher clock speed, improved graphics, and a more efficient architecture. Kaby Lake's Hyper-Threading feature also allows for more efficient multitasking and performance-heavy tasks such as 3D and video rendering. Its upgraded graphics core can stream videos in 4K quality, as well. 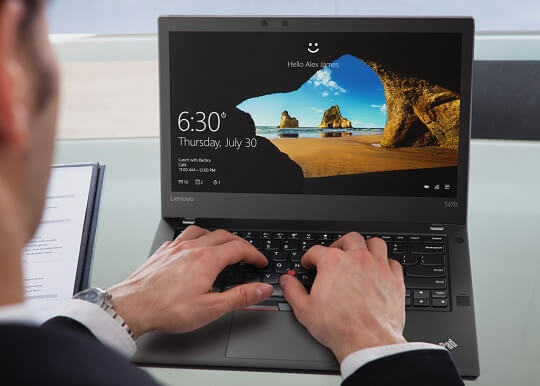 Moreover, these new Lenovo ThinkPad devices feature a cleaner, premium TouchPad that supports Microsoft Precision TouchPad for a more consistent trackpad user experience. New security features have also been added, including support for Windows Hello for facial recognition and biometric fingerprinting sensor. All the new models, which will be available in classic black color, also come preloaded with Windows 10 and optimized Microsoft Signature Image for a clean and fast system. There's also the inclusion of USB Thunderbolt 3 support. In addition, Lenovo also launched the new customer-centric V310 and Miix 510 during the unveiling of its new ThinkPad lineup. The former will be available in classic black, while the latter will be sold in a sleek silver color.